The German chancellor announced her resignation as CDU chief and her decision not to run for another term as chancellor in November at a party meeting. In December, the CDU elected a new head, Annegret Kramp-Karrenbauer, who is considered to be Merkel's protégé and future replacement. The slurs arrived en masse as Rome's Mayor Virginia Raggi successfully fended off court allegations of engaging in cronyism over the past two years. Following the CDU’s shortcomings in Hesse’s regional elections and the historically poor results of the CSU, its sister party in Bavaria, Angela Merkel announced that she would give up the party leadership. She also stated that she wouldn’t seek political office during the next national vote in 2021. Following the CDU's poor performance in Germany's most recent regional election, Chancellor Angela Merkel announced that she would give up the party leadership and wouldn’t seek re-election in 2021. After the German media named four candidates poised to potentially step into 'Mutti's' shoes, a critic of Merkel has taken the lead in the polls. Just two weeks after Angela Merkel's Christian Social Union allies witnessed their worst election results in decades in Bavaria, her own Christian Democrats are experiencing déjà vu in Hesse’s regional vote. Meanwhile, the anti-establishment Alternative for Germany has entered the last of the 16 state parliaments. The latest words of German Interior Minister Horst Seehofer underscore the growing discord between his party and Merkel's. Seehofer's insistence that Germany must rethink its migrant policy clashes with Merkel's controversial Open Doors policy, threatening the marriage between Germany's two center-right parties as well as the coalition government. 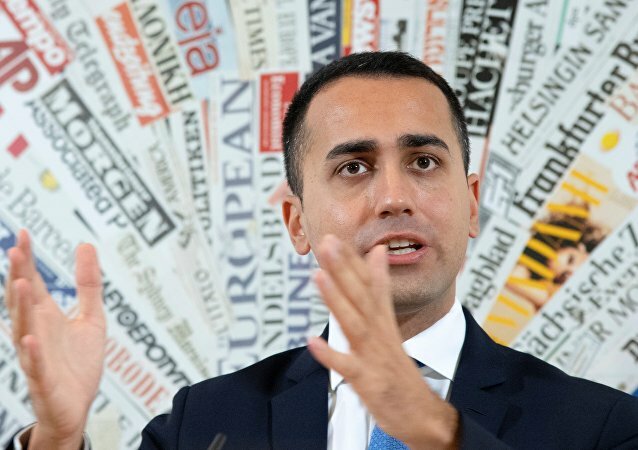 A former IMF senior official and Italy's premier-designate, Carlo Cottarelli, has refused to form Italy's government amid the ongoing political crisis in the country. Merkel’s new government is turning towards alternative natural gas suppliers in a bid to wean itself from its dependence on Russia, which provides 60 percent of the gas Germany imports and plans to expand with Nord Stream-2. 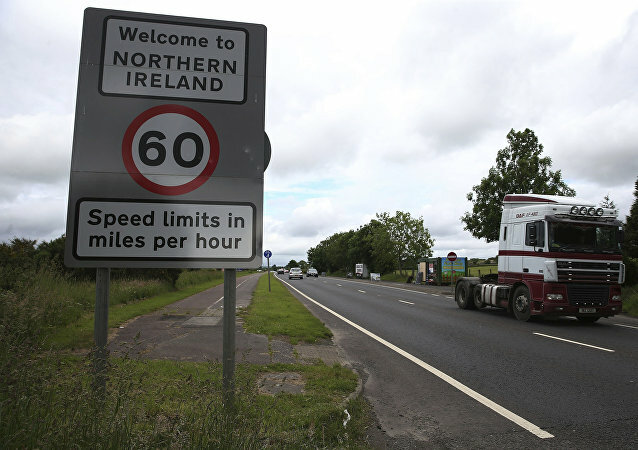 The collapse of coalition talks between the opposing sides have opened the possibility that Northern Ireland could return to direct rule from London. German Chancellor Angela Merkel noted that she was concerned about “tough hours ahead” as she and rival political parties in the northern European nation struggle to form a coalition government. 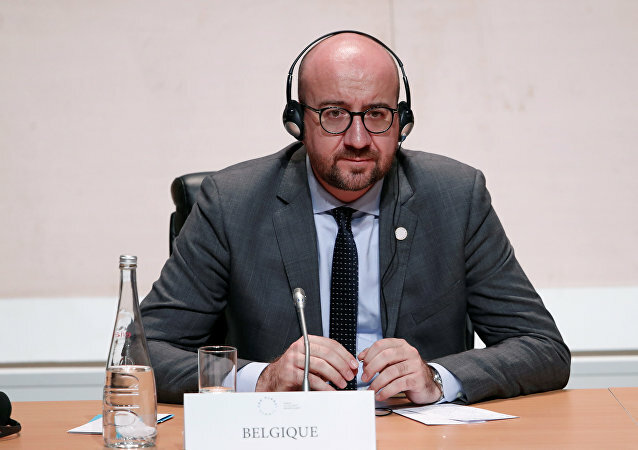 A scandal involving the forced repatriation of 100 migrants to Sudan appears to have left Brussels reeling; a partner in Belgium's coalition government is threatening to withdraw its support for the current administration. While German political parties strive to broker a new coalition government, it appears that the latest parliamentary election in the country may have heralded the rise of a new type of political leader. In an exclusive interview with Sputnik, Peter Gauweiler, the former deputy head of the Christian-Social Union of Germany, spoke about the prospects of a coalition government, Chancellor Angela Merkel’s chances of staying in power and Russia’s relations with the EU and Germany. He also called for an early end to anti-Russian sanctions. Failure to form a coalition government has left Germany in a situation unprecedented in almost 70 years, which brings the prospect of snap elections. Alastair Newton, co-founder and director of Alavan Business Advisory and a former career diplomat with the British Diplomatic Service commented to Sputnik on the political options available to Merkel. Talks to form a "Jamaica Coalition" have collapsed, leaving German Chancellor Angela Merkel facing the prospect of a minority government or new snap elections; the country is facing a situation it hasn't encountered in almost 70 years of postwar history, President Steinmeier says. The leader of Germany's Social Democratic Party (SPD), Martin Schulz, said Friday that he expects German political parties to eventually come to an agreement on a coalition government. German Chancellor Angela Merkel is aiming to form a coalition government following her Christian Democratic Parties' failure to obtain a majority in the September election. Almost seven weeks after the German federal election, the country remains without a government. Talks between the somewhat unlikely triple-pairing of the CDU/CSU, Free Democratic Party and Greens - but despite concessions from all sides, the trio remain bitterly divided in major areas.